The National Media Museum in Bradford has just put on display the earliest films shot in ‘natural’ colour (that is, not applied artificially by hand, or toned or tinted, but inherent in the photographic process). These were tests produced by Edward Raymond Turner (1873-1903), and show a variety of scenes designed to demonstrate the effect to best advantage: a scarlet macaw on its perch; a view of Knightsbridge; Turner’s three children – Alfred, Agnes and Wilfred – sitting round a table covered in a deep red tablecloth with a goldfish bowl on it while waving sunflowers; the fishbowl on a striped cloth; Agnes on a swing; two other children by a different swing, dwarfed by a huge ladder; a panning shot on Brighton’s sea front; and marching soldiers. They are generally of surprisingly good quality, given their age. The system with which they were produced was a failure, but the museum has digitised the surviving footage, allowing it to be seen without the need for a suitable projector. The history of these film fragments is as convoluted as the technique, but is worth telling as the narrative surrounding the museum’s announcement has been streamlined to the point of distortion. Initial experiments were conducted by Turner, who lived at Hounslow. He initially had backing from wealthy horse owner Frederick Marshall Lee, and they filed patent No. 6202 (Means for Taking and Exhibiting Cinematographic Pictures) on 22 March 1899, just five months after signing their agreement on 11 October 1898. 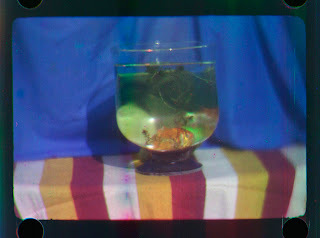 For the “Lee and Turner Process”, as it was known, a camera was fitted with a rotating wheel divided into three filters coloured blue, green and red, alternating with opaque sectors. Successive frames recorded through the filters in turn onto black and white stock. That was the easy bit. A three-lens projector enabled the three images to be projected through each lens in turn. As the film moved down past each lens, the light passed through a filter wheel with three sectors, each divided into three, a single colour being on the outside, in the middle and on the inside in turn as the wheel rotated. A frame taken through a particular filter would be synchronised to project three times though its own colour, in all three permuted positions, and combine with the other two colours by superimposition to form a full-colour record. In a move designed to involve someone with greater knowledge of the trade than they possessed, Lee and Turner contacted Charles Urban, manager of the Warwick Trading Company and already well known in the film business. They granted Urban a licence, dated 1 June 1901, for six months, to “experiment with the said process with a view to improving and perfecting it…”, though Lee and Turner would patent any improvements. If Urban so chose within those six months, he could have exclusive rights over the process for fourteen years but still terminate the contract with three months’ notice. It was witnessed by Joseph Baucus, Warwick’s chairman, and although Warwick made a £500 investment, the agreement was with Urban. An aluminium camera was built by Alfred Darling (who had been associated with Urban as an engineer since 1897) in October 1901. It took 38mm film instead of the already standard 35mm, perforated between its frames, an increase presumably to try to compensate for the loss of light caused by the filters. Darling constructed a projector in early 1902. Unlike the Warwick directors, who wrote off their investment when results were not forthcoming, Urban saw potential, because on 1 September 1902 he signed another contract with Turner – Lee having dropped out – to form a company to exploit the three-colour process. Urban was to have two-thirds of any profits, with an option to purchase the invention outright, a split which certainly casts doubt on Turner’s business acumen, and perhaps suggests a certain desperation. The agreement was witnessed by Urban’s brother-in-law Jack Avery. Unfortunately, Turner was unable to overcome the system’s deficiencies. The need to approach a speed fast enough to overcome flicker in turn led to a washed-out look, caused by underexposure of each frame. The speed also created severe implications both for the cost of stock (three frames being required for a single colour image) and the stresses imposed both on it and on the equipment. 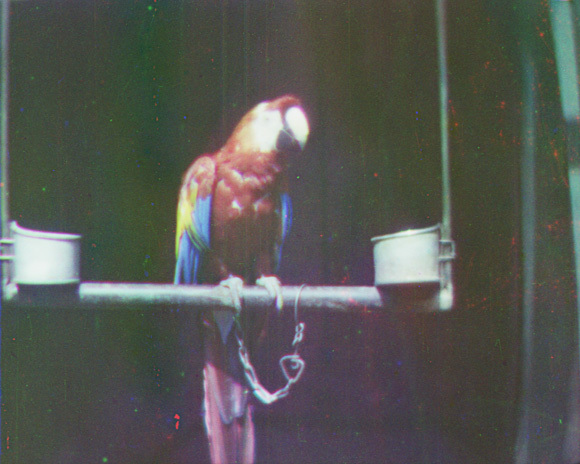 The film was less sensitive to the green and red end of the spectrum than the blue-violet, so achieving the correct colour balance had to be achieved by adjusting the opaque sectors. Yet another concern was that of ‘fringing’, or time parallax, in which the colours of moving objects were not in perfect register from frame to frame. In order to bring a fresh perspective to these problems, film pioneer George Albert Smith by his own account became involved as a collaborator with Turner in 1902 (he gives this date in his 1908 talk to the Royal Society of Arts on his own colour process). By that point he had a strong business relationship with Urban because his GAS films were distributed through Warwick, and he also developed films for them. This move, certainly at Urban’s instigation, did not betoken confidence in Turner’s abilities. Any potential conflicts were averted, however, when Turner died of a heart attack on 3 March 1903, at the age of 29, leaving Smith with a free hand to explore alternatives. His first act was to switch to standard 35mm film so that standard equipment could be used. More radically, he also abandoned the three-colour system, a switch he had been contemplating even during Turner’s lifetime. As he stated in a reply to a letter from Mrs Turner on 22 June 1907 (she had apparently seen a newspaper account of Smith’s work): “Your husband used to condemn the methods I used to advocate & which I am now making use of – partly I think because they were not in harmony with his patent, but mainly because he knew that the results could never be really true to nature.” This letter by the way is further evidence that he was not brought in by Urban after Turner’s death, as much media coverage since the National Media Museum’s announcement has claimed. Smith felt he was on the right track with his innovations as early as March 1904, when he wrote to Urban to tell him that he had effectively solved the technical issues and that the main point of discussion was now exploitation. The solution was his own system, which he patented in November 1906 (No. 26,671, Improvements in & relating to Kinematograph Apparatus for the Production of Coloured Pictures). 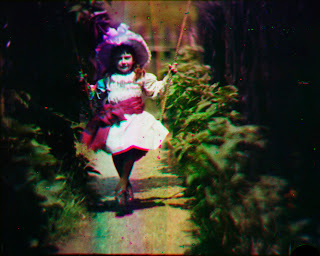 He used only two filters, red and green, the process that would become known as Kinemacolor. Urban retained the three-colour test footage and donated it to the Science Museum in London with his archives in 1937, where it was kept until the Urban Collection was sent to the National Media Museum in 2009. 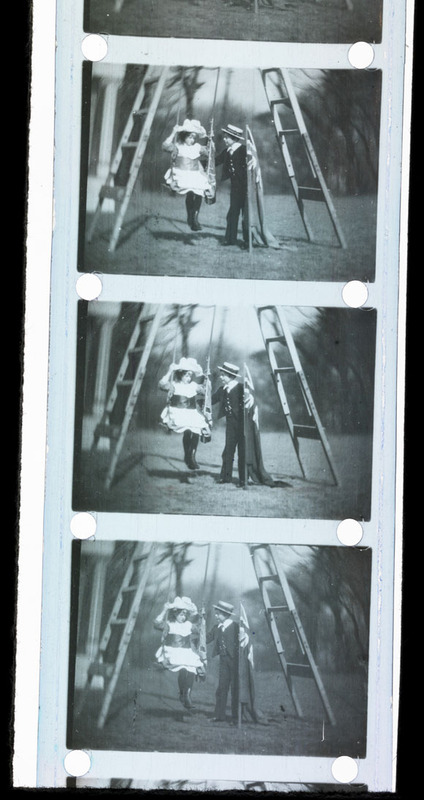 To be able to view it, Brian Pritchard and David Cleveland, experts in early film technology, and who had already recreated Kinemacolor, had to build a special gate for a projector so that its four thousand frames could be copied, a frame at a time, on to 35mm film. These copies were scanned and the digital files supplied to a company which combined the red, blue and green frames to make a colour record. In the original, these would have been seen sequentially, the colour being synthesised by the viewer. Combining the frames using a computer is a long way from lacing up Turner’s film and projecting it through the filters that would have been required to see the original as he intended. The National Media Museum can be rightly proud that it has these films in its possession, and has managed, using modern technology, to show them after more than a century, but some unfounded claims have been circulating since the National Media Museum started promoting their digitisation of the footage. For a start the films have not been sitting neglected in a tin unrecognised for a century until Michael Harvey, Curator of Cinematography at the museum, realised what they were: D B Thomas, who worked at the Science Museum, reproduced strips showing the two children at the swing, the three children with the sunflowers, and the macaw (albeit all in black and white ) in his The First Colour Motion Pictures, 1969, p8, captioned, “Experimental Lee and Turner 38mm film showing the unusual perforations and the colour records recurring every third frame (1901-02)”. There are also photographs in Thomas’s book of the projector, the projector’s filter wheel, and the 38mm perforator. Macaw frames feature in Brian Coe’s 1981 The History of Movie Photography, along with the same photograph of the projector. It is clear that Science Museum staff as far back as 1969 knew what the films were, and it should not have taken any effort to work out what treasure the National Media Museum had on its hands. They even managed to use the children and swing (in colour) as the banner for their information sheet on Smith which was revised in November 2008! When Harvey tells The Guardian “We didn’t know they were in the collection,” one wonders what is going on. BBC Yorkshire and South-East broadcast an unreliable programme on 17 September 2012, called The Race for Colour, with the Turner film ‘discovery’ as a hook, and a series of authorities on early film, including Martin Scorsese, lining up to say that the recovery of the film clips “rewrote film history” and was “an astonishing discovery”. Paul Goodman, Head of Collections at the museum, seems to be the source for this hyperbole. His statement to the Guardian that, “We believe this will literally rewrite film history, I don’t think it is an overstatement” certainly is an overstatement. It is not as if nobody knew about these experiments and why they were abandoned (and they were abandoned not because Turner died, as some of the media coverage has suggested, it was because his approach was not viable). The recovery of the colour information in these films after so long is certainly remarkable, but it is essentially of antiquarian interest, and does not rewrite history, which was already well known, not least from the Urban papers in the museum’s own possession. It may be the case that not all these three-colour test films were taken by Turner anyway. The fact that one of the films involved Brighton pier suggests that Smith, a local, was involved in its production. Also, the National Media Museum thinks the scene of the boy and girl with the swing may have been shot at Smith’s home at St Ann’s Well, Hove, during 1902-4 (the latter date is unlikely as Smith moved to Southwick, along the coast, in late 1903), so possibly after Turner’s death. The children may well be Harold and Dorothy Smith. 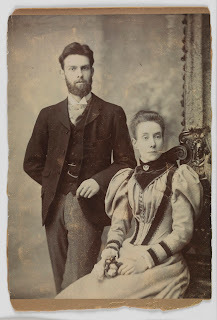 Harold was born in 1889, and Dorothy in 1891, so they look the right age, whereas Agnes Turner, according to the museum’s research, was born in 1896. The BBC programme greatly simplified the description of Turner’s method, which was understandable, but in so doing downplayed its complexity and impracticality. Worse, in the programme it was suggested that Smith was being duplicitous because the process made a lot of money, none of which Mrs Turner saw. Harvey quotes a sentence from Smith’s 1907 letter to Mrs Turner to suggest that Smith was telling her lies to avoid having to pay her any money, the assumption being that she was owed something as Smith’s approach grew out of that of her late husband: “I am now beginning to think that the final result will be that I have made an interesting scientific observation with no commercial interest attached to it.” But Smith did not want to give away information that might fall into the hands of competitors, hence his caginess. Anyway, to give her money was not his responsibility, that was down to Urban, if anybody. Urban wrote to her on 2 April 1903, just a month after her husband’s death, to say that she had no rights as he was now the owner of Turner’s patent, but that should it be successful, he would allot her “a certain small interest” at his discretion. But success was a long – and expensive – way off, and when it came it was not with the system with which Turner had struggled. Perhaps Urban felt that Turner had been fairly rewarded during his lifetime commensurate with the futility of his efforts, and that he had no moral responsibility towards Mrs Turner. Would Turner have made a go of it had he lived? Smith thought the three-colour additive system was unworkable with the technology at his disposal, and he was right. 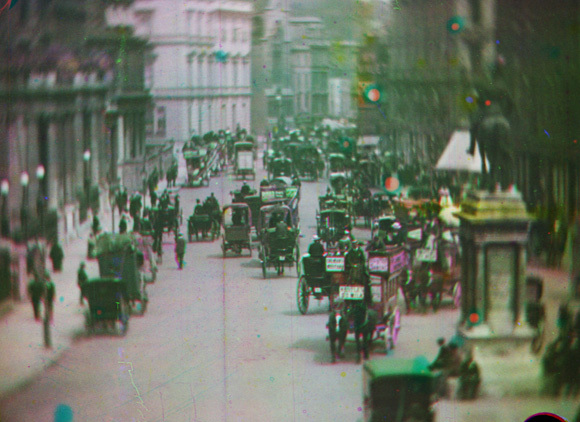 Computerisation has ensured synchronisation and prevented flicker, and tweaking has allowed a decent result from Turner’s orthochromatic stock, which Smith improved in addition to his more obvious switch to two colours, but even so the results are far from perfect. Whether Turner would have reached the same conclusion as Smith had he lived we can never know. Even if he had somehow solved the technical issues, it seems unlikely that he would have capitalised on the invention. When he was working with Lee he found his name placed second, and the terms of his agreements with Warwick and Urban do not suggest he was a canny businessman. We should not to make large claims for Turner’s achievement and consider him the father of colour moving film. It was clearly a leap to deduce that one could use black and white stock to produce a colour record, but he was only applying principles well established by Thomas Young and James Clerk Maxwell. 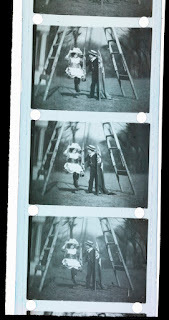 Smith made the more significant deduction that for the brain to see a satisfactory colour film it was not necessary to use three filters, but a compromise could be made with two. 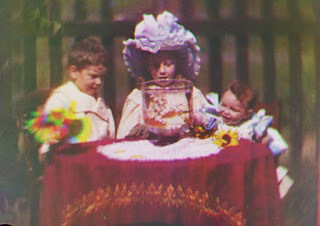 That allowed him to develop a viable process, though strictly speaking not “natural colour.” Whatever its deficiencies, Smith’s Kinemacolor, not Turner’s more elaborate, but flawed, approach, was the first successful colour-on-film process. This is hardly news.